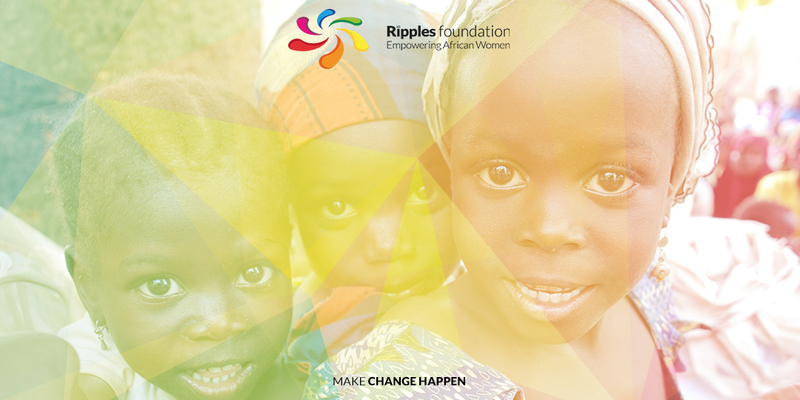 Ripples is a charitable organisation, and as such we do not just exist to make profits. Our aim is simply to improve and empower the lives of women across Africa and around the world. However in order to do this, we do need to generate enough money and have as many people as we can helping us to do so. Volunteering is a fantastic way of donating your time to help charities like ours to keep delivering essential projects to those who need it most, and make a lasting change in their lives. There are many different ways in which you can volunteer for us here at Ripples, both in the UK and in Africa! We can never have too many people willing to help us deliver our projects, and if volunteers would be willing to fund their own travel to and from Africa, we can offer you the opportunity of a lifetime! There are plenty of projects on the go in Africa right now, and we would love to capitalise on any skills you may have to help us. For example, we are always on the lookout for: teachers for the Ripples Box programme, donations of medical supplies, doctors and nurses for the Medical Mot’s, and media-savvy people to film and photograph our visits to village projects so we can share the work we do with our supporters. Whilst you are working in Africa with us we will be there to provide you with all the assistance you will need. Back in the UK we also have plenty of work on offer for willing volunteers! The main areas that we work in where we are based in Gravesend, Kent are administration, media, logistics and accounting, and is a great way for you to gain office work experience. Lasting for around 1-2 months you will get the opportunity to see how we operate and gain valuable work experience with all travel expenses paid. Non-UK citizens are also welcome at Ripples, providing a fantastic opportunity to live and work in another country for a few months, and improve English and business skills. Finally, you can also support us by creating your own fundraising campaigns that will help us continue funding our projects. This can be anything from simply holding a jumble sale, to running a marathon! Every little helps and we are extremely grateful for any amount that is raised as it all goes towards a great cause. Keep your eyes peeled in the near future for the launch of new fundraising efforts for Ripples, where you will be able to see our targets and how close we are to reaching them. 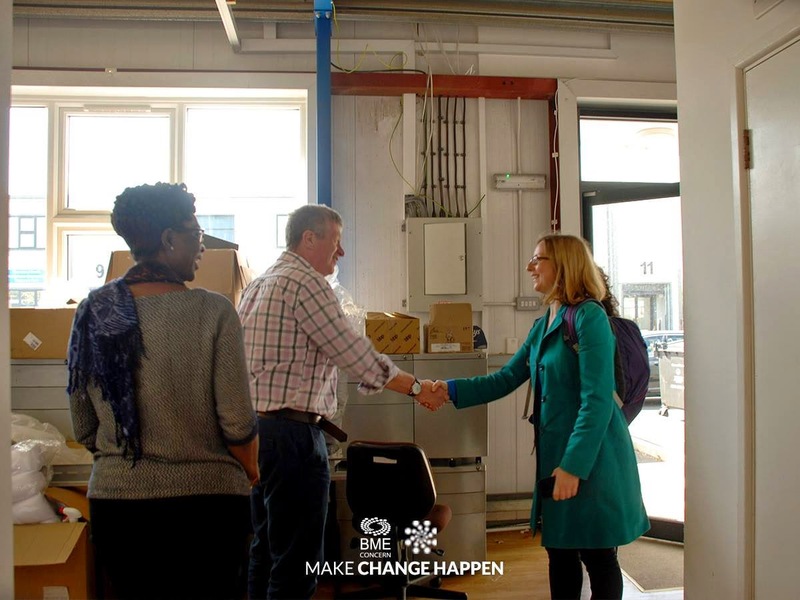 We will be introducing a number of different projects you can donate to, such as Medical MOT’s or one of our women’s empowerment businesses, so you will be able to see exactly where your money will be going. Volunteers and fundraisers aren't just beneficial for the charities - the best feeling in the world is knowing that the time and effort you put into your work has made a difference to people in need! 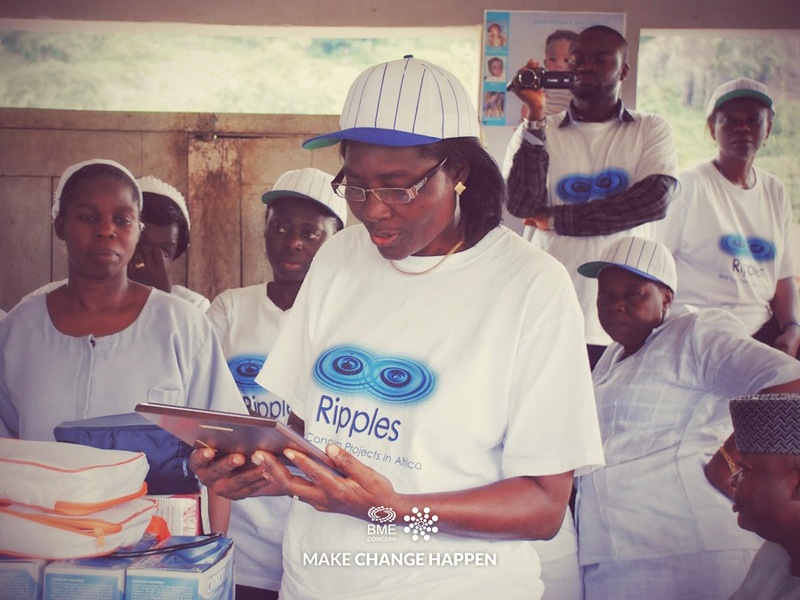 Dr Anne Fabiyi, pictured above, a founding trustee of Ripples Nigeria sadly passed away recently, and we would like to take this opportunity to publicly thank her for her untiring volunteering work and commitment to the charity. We miss you. What is it like to work in Africa, and what are the problems that we as a charity encounter? Ripples’ work in Africa can sometimes be problematic, as a lot of our work is carried out in rural locations, located far from major towns and cities. This means there is often little access to the Internet, a limited amount of equipment, and we only have a small number of people on the ground organising trips to our villages, auditing projects and capturing footage of our work. Most of our problems can be solved through forward planning, being prepared to take any opportunity and having the passion and determination to make change happen. However, there are risks to working in Africa that are far more sinister than just simple logistics. The presence of Boko Haram, the Islamic jihadi terror organisation, is a constant threat hanging over Nigeria and Cameroon where we operate. Boko Haram hit the headlines last year when they claimed responsibility for the kidnapping of over 200 Nigerian school girls from their school in Chibok, Nigeria, of which the majority of whom are still being held. You may remember the viral campaign that spread across the world through the hashtag ‪#‎BringBackOurGirls‬, that various celebrities and even Michelle Obama got involved in, but in the past year the media interest in the story has died down regardless of the fact that there has not yet been a resolution. Boko Haram have also recently formally aligned themselves with the Islamic State in Iraq and Syria (ISIS), which is a worrying development for everyone across Africa especially West Africa. 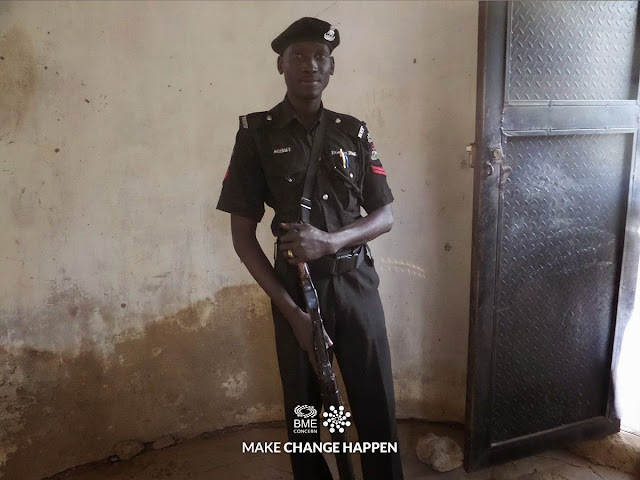 The main aim of Ripples is to empower women, so the spread of Boko Haram is not great news for us given that they openly disdain western education, and aim to establish an Islamic State in northern Nigeria. The translation of ‘Boko Haram’ in the local language of Hausa literally means ‘Western education is forbidden’. Here at Ripples we think the exact opposite. We firmly believe that empowering and educating African women sparks a ripple effect that enables them to share their knowledge with their children, and therefore is the key to educating the next generation who will be responsible for shaping the future of Africa. Ripples is working in communities of States where Boko Haram remains a clear and present danger. Our CEO and the Ripples team in Nigeria visited our women a couple of weeks ago, and met women in the communities who have been terrorised, abducted and some raped, and many families have been displaced.The presence of Boko Haram is always there, but currently it has not stopped us from carrying out our work, and nor we hope will it! To take a closer look at how we operate in Africa and the work that we carry out, visit our YouTube channel https://www.youtube.com/user/ripplesinafrica/featured where you can find a variety of films showcasing our work. To donate to our cause please visit https://www.totalgiving.co.uk/donate/bme-concern and help us‪ #‎MakeChangeHappen‬! The past week has been very busy in the Ripples office! Last Monday we had a visit from one of our partners, In Kind Direct, who were here to meet with our CEO Anne Phillips and take a look around the office and warehouse. Our office was momentarily transformed into a television studio, as the crew set up the room for interviews with Anne and our guests from In Kind Direct! They were filming their visit so the footage could be included in a video showcasing the services that In Kind Direct provides for charities across the UK. In Kind Direct takes products from warehouses that are left-over stock or no longer needed by companies, and redistributes them to charities and organisations that have greater need of them. The donations that we receive from them are sent straight to Africa where they are most needed. Most recently, In Kind Direct donated 1000 hockey sticks that we shipped over for use at several schools in Nigeria. These donations are invaluable to charities as it means that money which would otherwise have to have been spent on funding the donations, can now be redirected back into our other programs such as Medical MOT’s and women’s enterprise. In Kind Direct are a great help to Ripples, as their ongoing support means we can continue our charity work without huge financial constraints. We simply cannot afford to carry on with our great work without support and donations from people and companies just like In Kind Direct. From whole organisations sponsoring a village, to just a single person wanting to help our cause: every little helps and we are extremely grateful for any donation amounts! Did you know that the moringa tree is also known as the ‘miracle tree’? This is because every part of the tree can be used to produce a variety of products, which contain huge amounts of antioxidants, anti-inflammatories, minerals and vitamins that are hugely beneficial to your body. 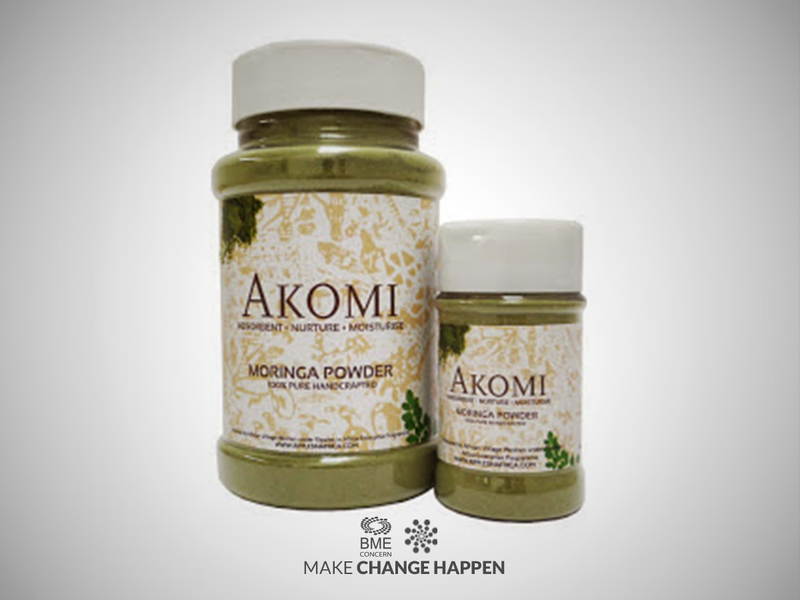 Our Akomi Moringa Powder is made from the leaves of the tree and handcrafted by our Ripples village women, leaving us with a premium product that has numerous health benefits. These benefits include boosting energy, stimulating the metabolism and supporting digestion. By buying Akomi products, you will be contributing to helping an African woman feed her family, support her community and work her way out of poverty. Check out the Akomi online store on eBay http://www.ebay.co.uk/usr/bmeconcern?_trksid=p2047675.l2559 or Alibaba http://uk1070137604.fm.alibaba.com/productlist.html to purchase Moringa Powder and take a look at some of the other great products available. Meet 3 More Of Our Media Apprentices!